Many people have less complicated tax returns and desire to file their tax returns early so they can quickly receive their income tax returns. 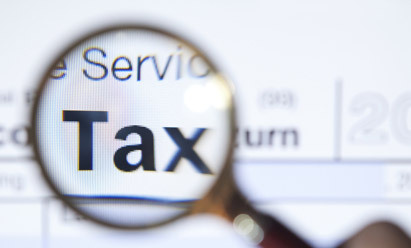 ExpressTax delivers prompt, professional and expedited tax return filing service. With us, your taxes are done right the first time. "My wife and I had our taxes prepared by another tax firm, but felt the returns were not correct; we went to ExpressTax and they got us another $3,037 in refunds that my old preparer missed. I got the max from ExpressTax!" -A.S..
"ExpressTax saved my day. I am in the service business and spend all day assisting customers. I don’t have time to worry with totaling payroll hours and writing paychecks. ExpressTax made it easy for me. All I do is turn in my payroll to ExpressTax and they take care of the rest."-T.H. "The IRS was about to shut down my business because of unpaid payroll taxes. Capital Consulting Group came in and allowed me to continue working and solved my IRS debt!" -A.S.
"Another tax preparer did my taxes and I never got my refund. When I went to their office after April 15th, they had a sign up saying they were closed until next year. I went to ExpressTax next door for help. They found out I was a victim of Identity Theft and they finally got me my refund! Thank you, ExpressTax" -M.H.